Some clients’ website traffic via smartphone is now reaching 20% or more and so we’re recommending producing RWD smartphone versions enabling a better experience on the smaller format. Firstly, the Studio 5 team wish you happiness and joy for the holiday season and the very best wishes for the coming year, may it be a prosperous one. 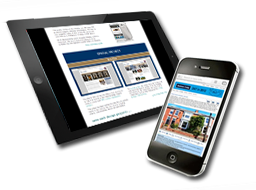 The third quarter saw some major webdesign projects come to fruition, several on the UK side. Another real estate website went live for a client of over 20 years, who has been out to visit us here in Sedona a couple of times now. 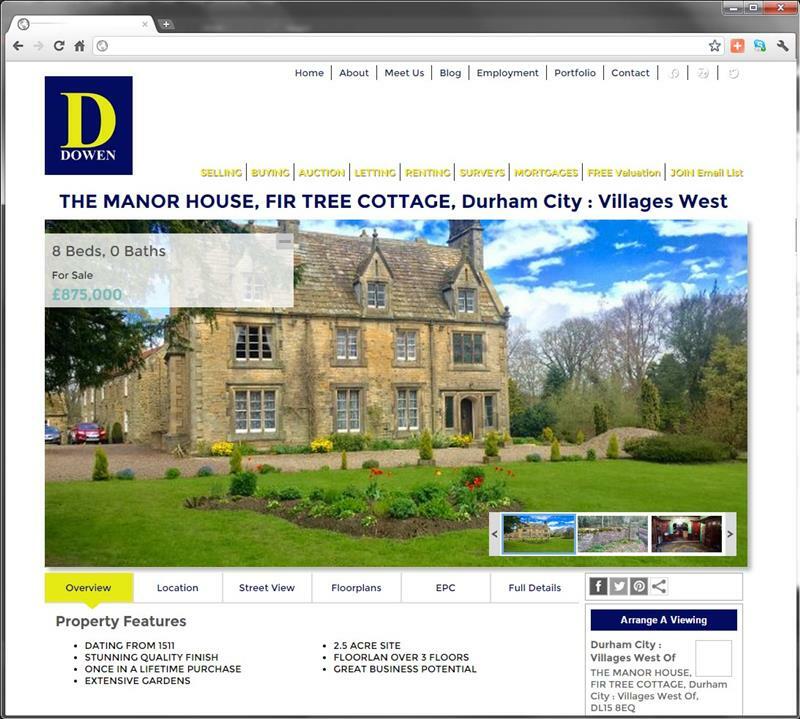 This project included integration of external data into our own CMS system allowing complete control over all the content on the site. Further integration with the Google Maps API plots properties locations. Other projects included an interesting CRM module for The PC Fixers, with detailed records of devices and customers all interlinked and tied in with subscription maintenance plans, staff time sheets and other integration to the PayPal API. There were a couple of mobile developments on recent sites, with full e-commerce facilities, blogs and more. A new website for one of our first ever website clients in the UK. Using our new MVC content management system the new website synchronizes data with their web based property management system. 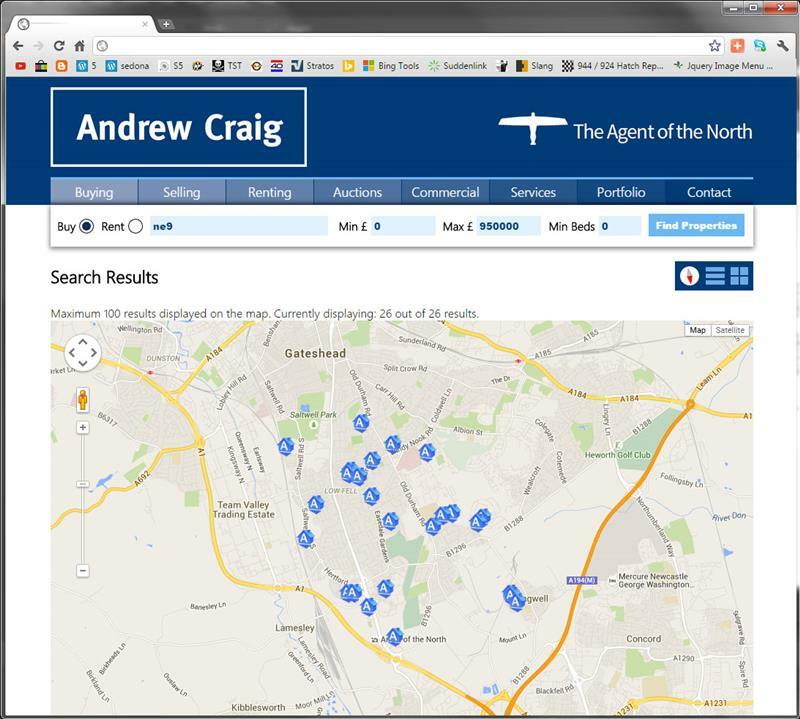 Andrew Craig Estate Agents is one of the North East's leading independent Estate Agents, with an established reputation for delivering a high level of customer service. 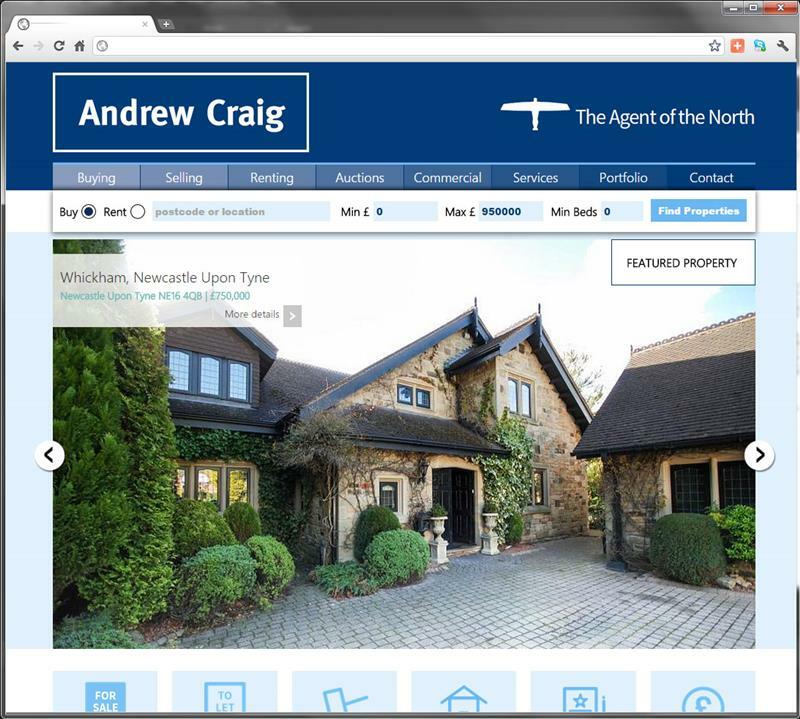 Andrew has been a client of ours for nearly twenty years and over that period the website has evolved, providing the very latest technologies and benefits of a total content management system (CMS). A new website for an existing client who are expanding their horizons, not only in terms of widening their range, but also their locations. The next phase is NYC, the big apple. 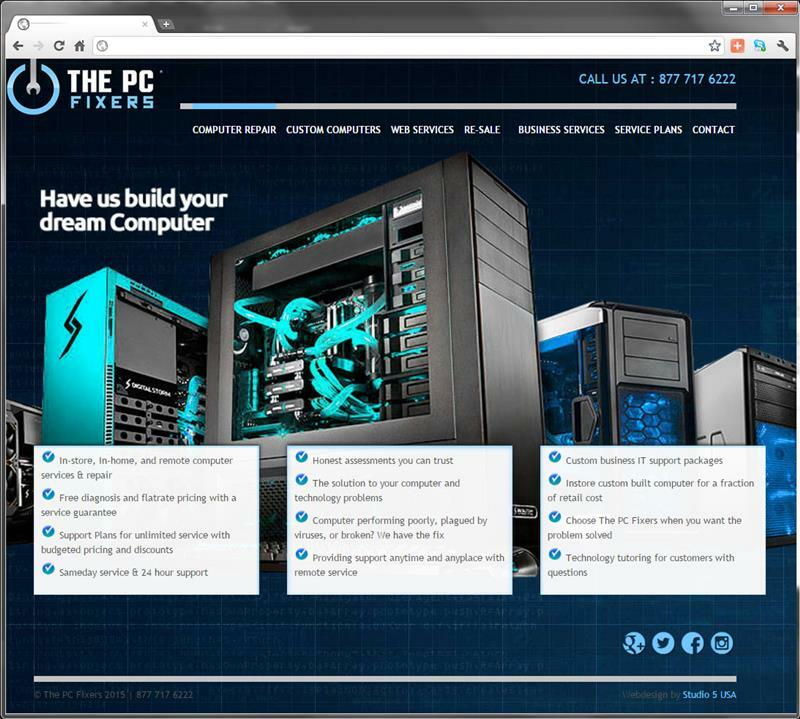 A new web design project for our associates at the PC Fixers was as much about the CRM as anything else. Although the public facing site underwent a new look and a mobile friendly version it was the admin end which was the biggest development aspect. The new CMS includes integration with the PayPal API to record and track subscription payments, service records and machine details to give the company a complete customer service record for every element. A long standing international web design client updated their website design with a fresh look and more robust content. 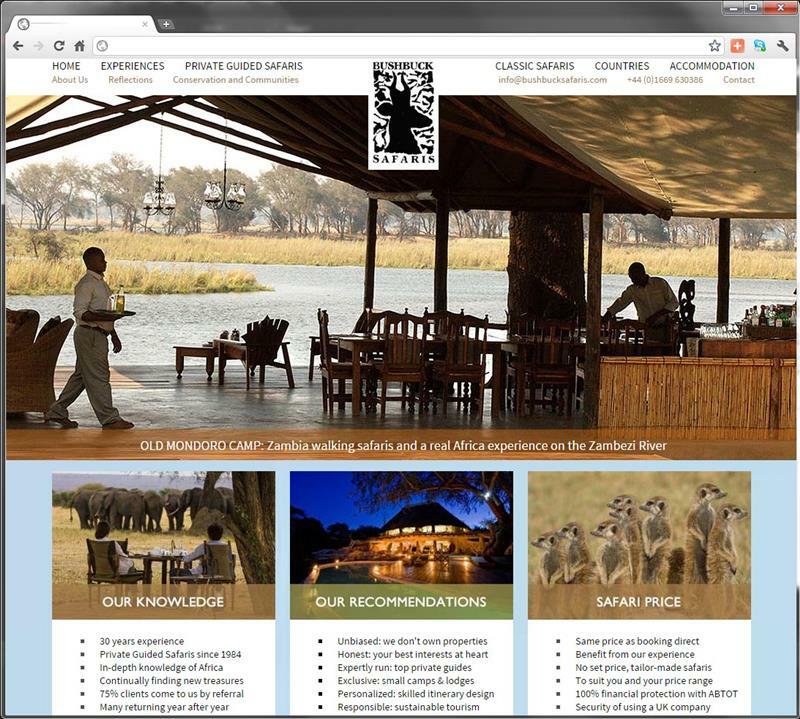 Integration with the Google Maps API gives visitors the opportunity to find the precise locations of the camps and resorts across the continent. The website utilizes our MVC CMS system allowing the client to update services and keep a blog with their "Bush Telegraph" and the website incorporates a mobile friendly version. 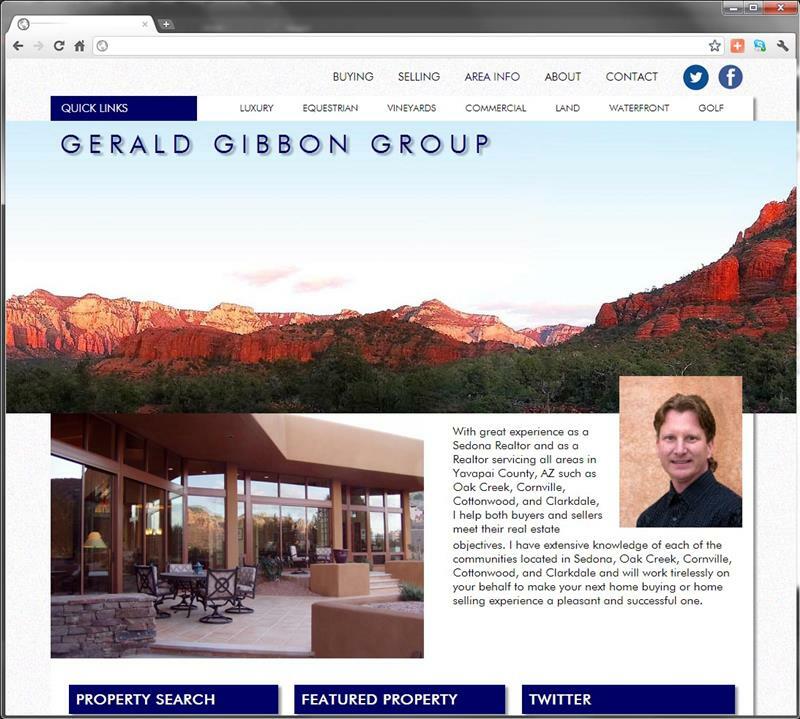 A new website for Sedona Realtor, Gerald Gibbon using the favored IDX MLS listings application which integrates easily into a custom built website and offers great flexibility as well as good SEO content potential. The website was developed in a relatively short time with Gerald being keen to get things up and running as fast as he could. After developing the mobile version ahead of the main website the new main stream website is now live. Another mobile development encompassing the entire website, e-commerce and blog. The whole mobile application was also made available as an App on the Google Playstore. Another new website this time for a website client returning to the fold in the UK. Using our new MVC content management system the new website synchronizes data with their web based property management system. 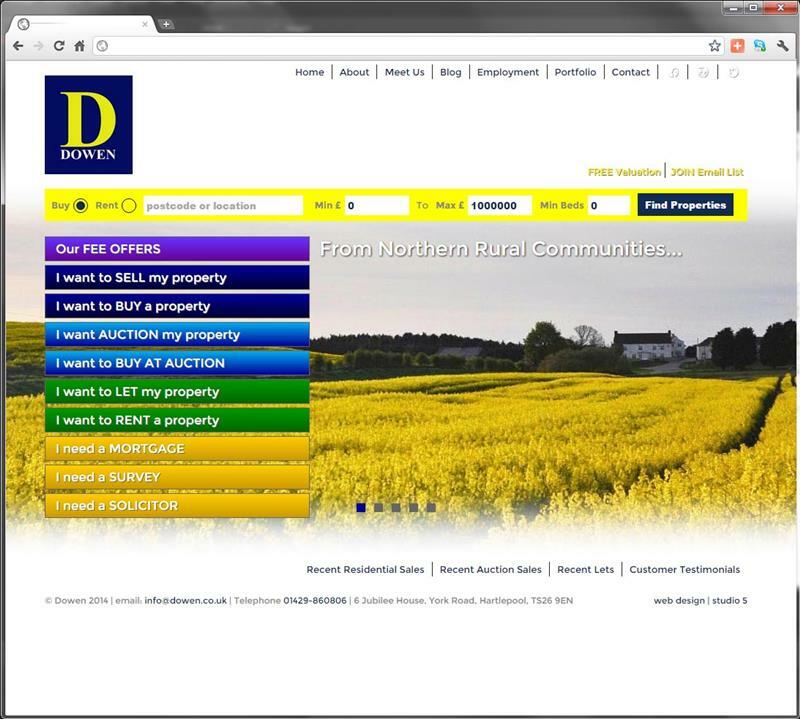 Dowen Estate Agents is another of the North East's leading independent Estate Agents, with an established reputation for delivering a high level of customer service. The specialized real estate content management system with realtor related functions and capabilities includes customer service applications and location mapping systems all integrated with their internal property database system with a regular scheduled data sync. The system incorporates both property sales and property rentals as the agency deals with both sides of real estate.